#2 Teague Club Lake-3bed, 2bath, 2 cp, lake front mobile home, metal roof, quiet & peaceful, perfect for weekend get-a-away or permanent residence, youâll enjoy the water view! 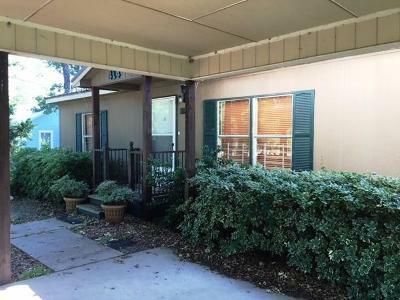 mobile home, built 1995 per SO and 1, 232 per SO, 3 bed, 2 bath, 2 car-carport, central h&a, covered back porch, metal roof over house and back porch, storage room, deck with pergola on the waters edge, low maintenance, nice yard, but not too big, minimal yard work, dishwasher, stove, & refrigerator are included, City of Teague water, septic, outside of the city limits, Teague Club Lake By-Laws, please see attached, $200 dues per year. Taxes for mobile $801.66, no exemptions, 414 Club Lake Rd, Teague, TX. 75860, $69, 900.